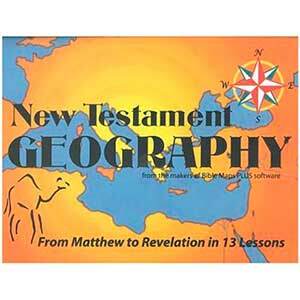 This overview of New Testament geography helps the Bible lands come alive as students develop a familiarity with the Bible lands. Contains study questions, 28 maps, and many illustrations. Rated "excellent" by past students. This book is appropriate for an adult, young adult, or teen class. Additional resources for using this book, including PowerPoint presentations, are available on the Manna Bible Maps Plus software, sold separately.